Walton boys racked up 601 points in the Cobb County meet to bring home its fourth straight county title. Lassiter finished runner-up with 454 points, followed by Wheeler (364.5), Pope (280) and Hillgrove (254). The Walton relay team of David Dingess, Tyler Yuen, Nicholas Froemming and Thaddius Macon finished first in the 200-freestyle relay with a new county-record time of 1:26.25 seconds, breaking a 13 year old record of 26.85 set by Lassiter. Three Raiders’ placed in the 500-freestyle helped them to seal the title. Stephen Lane took first (4:46.08), Yuen third (4:49.66) and Zachary Getty sixth (4:52.82). Dingess also placed first two individual events, 100-backstroke (51.75) and 100-butterfly (50.22) and in the 200-medley relay with teammates Froemming, Macon and Lane (1:34.88). Macon won the 100-breaststroke (58.12) as the No. 6 seed. Yuen, Lane, Amit Michaeli and Luke Bartnicki finished first in the 400-freestyle relay in 3:13.90. The Trojans lacked first place finishes, which put them far behind the Raiders. The following swimmers finished second for Lassiter: Nick Loprinzo in the 200-IM (1:57.02), Brogan Bunner in the 100-backstroke (52.13) and Colin Riley in both 50-freestyle (21.43) and the 100-freestyle (46.69). Also both the 200-medley relay (1:37.46) and 400-freestyle relay (3:14.05) finished runner-up. Wheeler’s Alexander Mayfield finished on top in the 200-IM (1:56.14), which helped the Wildcats finish third overall. Marietta’s Tyler Harper took home two individual county titles in the 50-freestyle (20.96) and the 100-freestyle (45.97) and Mount Paran Christian’s David Gray won the 200-freestyle as the No. 4 seed in 1:43.55. Lady Trojans used their depth to defeat the defending state champions, Walton, to claim their first county title since 2011. Lassiter scored 683.5 points to beat out Walton (531.5), Pope (463), followed by Kennesaw Mountain (314) and Harrison (253.5). Three of the four breaststrokers placed in the top five, with Lexi Glunn second in 1 minute, 7.25 seconds. Alexis Asip (1:08.83) and Lauren Brewer (1:08.94) were third and fourth, respectively. Lassiter’s Lisa O’Malley won 50-freestyle in 24.33, Glunn in the 200-individual medley, coming from behind to beat Kell’s Alexandria Ham in 2:04.30. 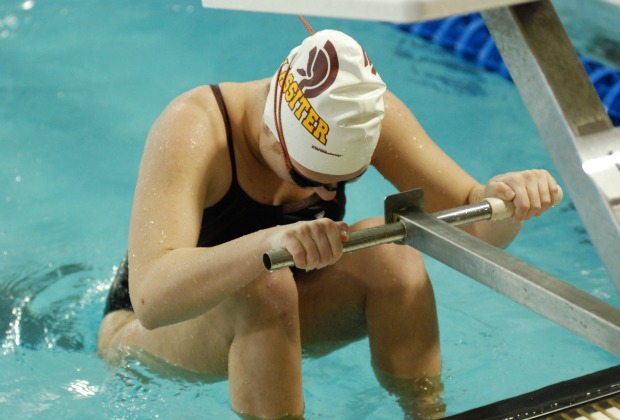 Lassiter also took points in the 200-freestyle, with Kelli Croft second (1:52.69) and Nastasi third (1:53.15). O’Malley was second in the 100-freestyle (52.83) and Anna Lofton fourth (54.44). Walton’s Emma Cole won the 100-butterfly in 55.30 and also finished second in the 500-freestyle (4:57.54) to help her team finish second. Pope took third after winning two out of the three relays. Emma Murray, Sarah Sorensen, Kirby Prestel and Britheny Joassaint won the 200-medley in 1:47.25. The same team also finished first in the 200-freestyle in 1:36.82. Joassaint won a pair of titles in the 100-freestyle (52.34) and the 100-backstroke (58.73). Murray, a University of Alabama commit, set a new county record in the 100-breaststroke (1:03.21), previously set by former Sprayberry swimmer Kristine Polley in 2008 with a time of 1:03.56. Cody Bekemeyer and Taylor Delk helped their team dominate amongst the best in Gwinnett County to take home first place for the second straight year with 1,006 points. Parkview, the runner-up, finished with 885 points, then North Gwinnett taking third (775) and Brookwood fourth (732). Bekemeyer and Delk each won a pair of individual titles. The two stars along with teammates Andrew Winton and Wesley finished first in the 200-medley relay (1:36.84). Bekemeyer won the 200 and 500-yard freestyle titles for the second straight year, lowering his own county-meet record in the 500-freestyle with a time of 4:28.22 and winning the 200-freestyle in 1:40.11. The other Collins Hill standout, Delk won the 200-individual medley in 1:52.62 and the 100-backstroke in 50.45, breaking the county-meet record in the backstroke. Parkview’s Dalton Vaux swept the 50-freestyle (21.18) and 100-freestyle (46.48) and placed first in the 200-free relay (1:26.23) with teammates Jacob Finco, Gregory Paulukaitis and Samuel Kim. The Brookwood Lady Broncos took home first place at the Gwinnett County Swimming and Diving Championships for the 12th time in the past 16 after losing to Mill Creek girls in 2013 and 2014. They stand as a favorite to win this year’s state championship title for Georgia’s highest classification. Brookwood finished with 1,023 points to hold off North Gwinnett (969.5), which was runner-up for the second straight year. Mill Creek (799.5) was third, followed by Parkview (624) and Peachtree Ridge (610). The powerful Broncos foursome of Maddy Cohen, Erin Scott, Devan Sweeney and Leila Taylor started the county meet with strong precedence, finishing first in the 200-medley relay with a county-meet record time of 1:45.85. Anna Jahns, Sweeney, Scott and Hansen won the 200-free relay in 1:38.01, closing the meet with a win in the 400-free relay behind Jahns, Haylie Dixon, Hansen and Cohen (3:32.61). Bronco’s Cohen won her second consecutive 100-backstroke (55.76) county title in record breaking time and also finished first in the 100-free style (51.35). Scott won the 100-breaststroke (1:04.50) and Jahns won the 500-freestyle (4:53.11), both repeat titles from last season. Sweeney placed first in the 200-IM for the second straight year (2:05.27. Peachtree Ridge senior Haley McInerny, a Kentucky recruit, won the 200-free in 1:49.45 and the 100-butterfly in 54.32, setting a new county-meet record, breaking her own title (54.54) from 2014. Parkview Morgan Fleming also earned a county title in the 50-freestyle (24.23). Lambert High School won its sixth straight Forsyth County Championship Swim Meet, with the girls finishing with 788.5 points, South Forsyth girls finished runner-up with 603 points. The Lady Longhorns were champions in three relays: the 200-medley, 200-free and 400-free. Caroline Aikins placed first in the 200-IM and the 100-backstroke, Katherine Aikins in the 50-freestyle and Nicole Raicik won in the 100-butterfly. Lambert boys swam to the top, racking up 702 points; West Forsyth finished runner-up with 506.5. Jared Chulavatr placed first in the 100-breaststroke and set a county-meet record (58.53). Zac Elz also set a meet record in the 50-freestyle. South Forsyth senior Blake Atmore set a pair of meet records, in 100-butterfly (51.02) and the 100-backstroke (52.20). Bayley Frierson swam well for the Lady Comets taking first in the 500-freestyle. Cameron Van De Velde was the champion in the 500-freestyle for West Forsyth boys team and teammate Sheridan Schreiber set a meet record in the 100-breaststroke (1:06.91) for the Lady Wolverines. Forsyth Central’s Logan Belt set a meet record in the 200-IM. Micah Gilliam of Forsyth Central took the boys one-meter diving title and West Forsyth’s Hanna King took home the girls’.